Well, it was inevitable, wasn't it? After the resurgence of vinyl, and the current hype around cassette tapes (mainly thanks to Guardians of the Galaxy), British turntable makers GPO started to think about the ultimate tech back when cassettes were an actual thing. It was the 80s boombox. Of course, it may look like a relic from the 80s, but this is more than just a cassette player. Called the Brooklyn, it has a few modern tricks up its sleeve, including Bluetooth, a USB port for playback and recording, a CD deck, DAB and FM radio. 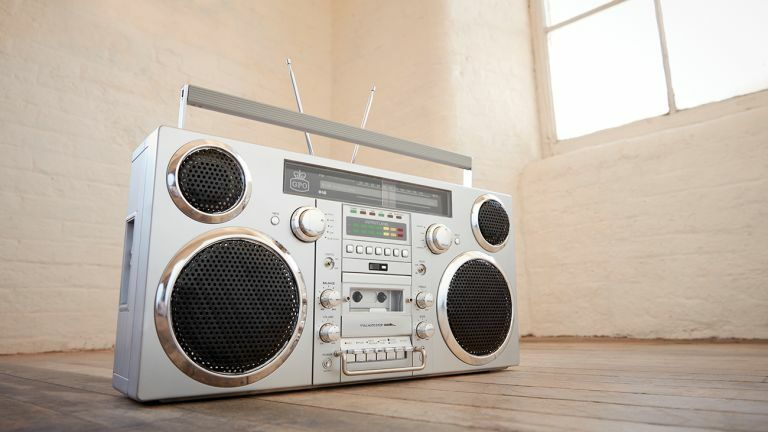 Two 40 watt speakers pump out your tunes (probably the Beastie Boys or NWA), while the built in lithium battery keeps everything running for around four hours while you're break dancing on a stoop. It’s big, too, measuring 60 x 30cm, with a chrome finish and retro backlighted VU indicators. Alongside the Brooklyn Boombox, GPO also launches its new professional range of record players. All new products will be available from October, with the Brooklyn Boombox costing £199.